With exactly two weeks to go before the beginning of Ayyam-i-Ha, I thought I’d remind you that we have a lot more than books and teaching materials. In fact, we have 5 Categories of Ayyam-i-Ha Gifts: Community-wide Gifts (low-to-medium cost gifts for everyone in your community), Special Gifts (hand-picked for family and special friends), Party Favors (even lower-cost for gift bags at parties), Children’s Gifts (books, crayons, blocks, magnets, the list goes on) and Games (for your family or to play as a community). We also have a bunch of great Holiday Items like flags, Ayyam-i-Ha ribbon, cake stencils and cookie cutters. These are gifts that your community buys for everyone in the community. They generally range between $1 and $10 each, depending on the size and budget of the community. When purchased in bulk, you may be surprised at the quality of the products you can get for that – from pen sets to T-shirts. Click here to go to our “Community Gifts” page, or click on any of the suggested links below. Coins – From “You Are Loved” medallions (above) to Healing Coins, to Bicentenary Coins, these are gifts people can carry with them every day. Awareness Bracelets Like coins, these are something they will wear every day – particularly good for youth. Buttons, Magnets & Mirrors help build community identity. Prayer Books – While some of our prayer books are more than $10.00, many are much less. Lanyards and Key chains for professionals and students. Tote Bags – we have a style to fit every need, bulk prices as low as $5. Special Gifts for Adults These are gifts that you select for a specific special friend or relative. Scarves, jewelry and prayer beads are among our most popular options. Silk Scarves – Our most popular gift category, they are one-size-fits-all. Jewelry – from $10.00 plated pendants to $33.00 gold-plated sterling silver. T-shirts – We still have the classics. Games, Crafts & Activities – A gift for the whole family. Prayer Beads – A wide range of semi-precious stones to choose from. Party Favors – Door prizes, gift bags, tokens, whatever you want to call them, you want to make sure that everyone who attends your party goes home with something. 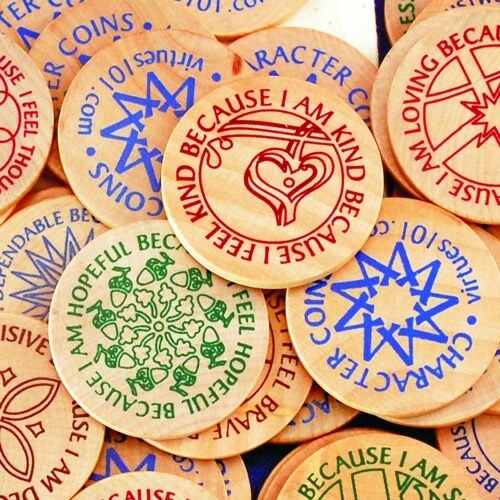 Some of these ideas are larger products like virtues coins that can be separated into pieces for individuals. We have so many new gifts, games and activities for children that I don’t know where to start. 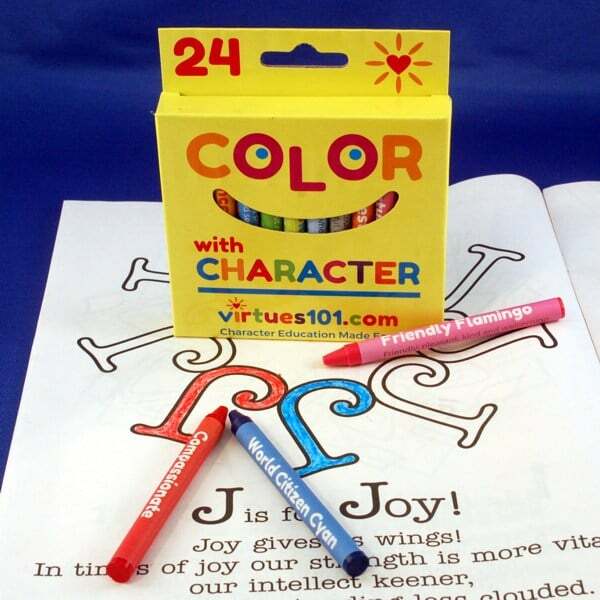 Crayons, coloring books, card games, character building blocks, magnets and more. Click the link to get some ideas. 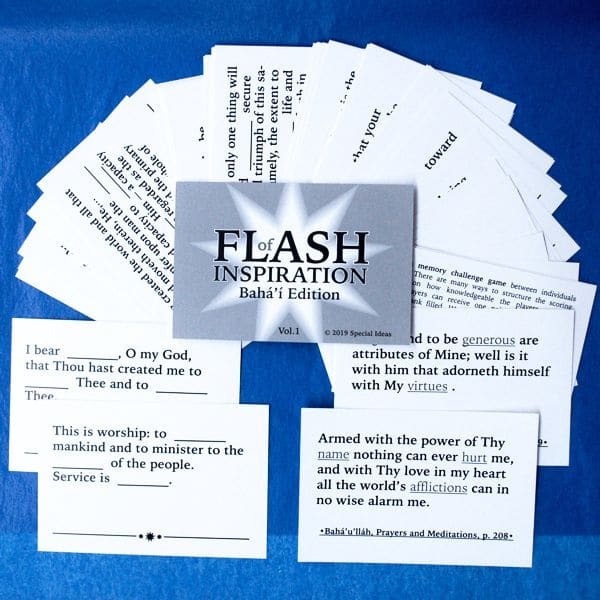 Games, Crafts & Activities – we have lots of things to keep you and your family busy, including our newest Flash of Inspiration Baha’i Quotation Flash Cards. 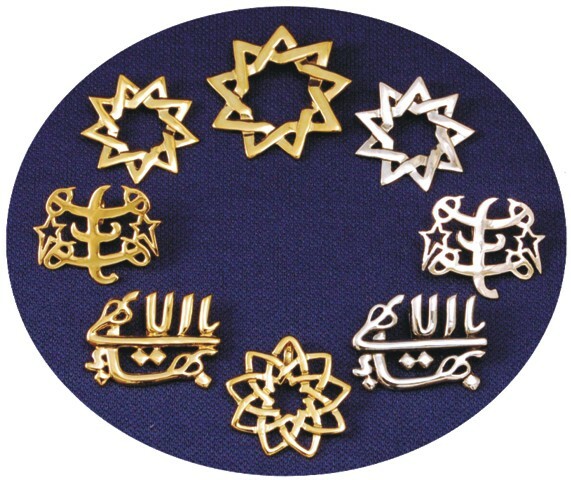 Holiday Items – like ribbon, gift tags, flags, cake stencils and cookie cutters to make Baha’i holidays just as special as Christian ones.